Following on from Mary Brack's Advent Words last December, Mary was asked if she would lead a similar study for Lent. 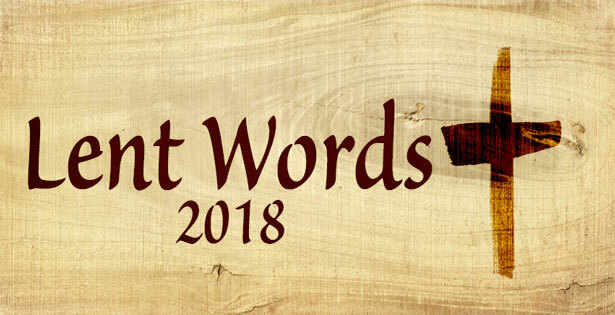 Unsurprisingly it's called Lent Words. Mary asked me if I would like to write a post about one of the words and I chose today's word: Compassion. This blog post also appears today on Mary's blog: Found on Brighton. 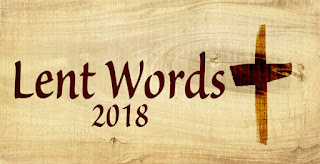 I have been following along with Mary's Lent Words and writing one verse each day in my EveryDay Journal. My church doesn’t follow the church calendar very much apart from Christmas & Easter. So apart from having pancakes as close to Shrove Tuesday as I can, I really don’t have much experience of following a Lenten tradition. However I feel that the word Mary chose for today – compassion – is a year long, lifetime word. A bit like the ‘A dog is not just for Christmas’ campaign, I believe ‘compassion is not just for Lent’. God is a God of compassion. One of His names is Rakhum which is sometimes translated as Merciful God but can also be translated as Compassionate God. In Deuteronomy 4:31 (NASB) we are told ‘For the LORD your God is a compassionate God; He will not fail you nor destroy you nor forget the covenant with your fathers which He swore to them’. Psalm 103:8 (NIV) describes God this way: ‘The LORD is compassionate and gracious, slow to anger, abounding in love’. Throughout the Old Testament we see God showing compassion to His people. We see people struggling through hard times but God always shows compassion and comes to their rescue. And then the most spectacular rescue of all is Jesus dying on the Cross for us. I find it really hard to grasp the depth of compassion God felt for us that He sent his Son to die for us. I could hardly bear to see my son hurt in any way and nothing that happened to him compared with what Jesus did for us. We often use other words for compassion: pity, sympathy, feeling, empathy, understanding, care, concern, solicitousness, tender-heartedness, soft-heartedness, warm-heartedness, warmth, love, brotherly love, tenderness, gentleness, mercy, tolerance, consideration, kindness, humanity, kind-heartedness, benevolence. But when we feel compassion (or any of those other words we use) we need to do something. We can give money to aid charities and think that is enough. But we need to act. We can show compassion in the way we live our lives, in the way we speak to and about people and in the way we pray. We are made in God’s image so compassion is a trait we should embrace. 1 Peter 3:8 (TPT) says ‘Now, this is the goal: to live in harmony with one another and demonstrate affectionate love, sympathy, and kindness toward other believers. Let humility describe who you are as you dearly love one another’. It's not too late to join in with the Lent study. Today is day 9 of 40. Find out more on Mary's blog. There is a free class available 'Redefining Normal' by clicking on the tab at the top of this post. The class may be of interest to those who need to show themselves some compassion. Bernice, thank you so much for writing this and being a guest writer for our Lent project!